The new iPhone X will be running on Apples iOS 11. By adding new innovations such as Face ID and Touch ID it is apples more impressive yet. You can now Factory Unlock your iPhone X if it comes carrier locked to be use on the network of your choice. Cellunlocker.net services is 100% Guaranteed to factory unlock your iPhone X or your Money Back. Unlocking your iPhone X to use on other Networks has never been easier when you do it with Cellunlocker. Is your iPhone X not working with your new sim card from another carrier? Are you feeling frustrated with your iPhone carrier’s network and want to get your iPhone fixed immediately? At Cellunlocker.net we provide our customers with Permanent Unlocking solution with No Jailbreaking or Complicated Software. We have been providing 100% guaranteed Unlock iPhone X services for multiple networks. Unlocking your iPhone X to use on other Networks has never been easier when you do it with Cellunlocker. 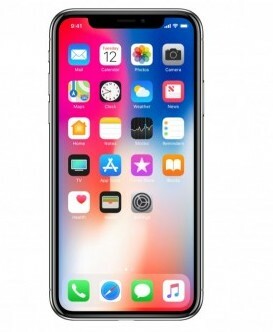 Our Apple iPhone X unlock service is the best and also the most reliable and straightforward solution available on the internet. All you have to do is submit your IMEI number and the network of your iPhone. Once we have processed your order completely, all you need to do is plug in your iPhone into your computer, start iTunes and your device will be automatically unlocked. That’s it! You do not to have your iPhone opened up or use a remote unlock code. We provide you the easiest and best unlocking solution available for the iPhone X. With Cellunlocker you receive 100% Guaranteed Factory Unlock of your iPhone. Your iPhone will remain unlocked even after you get your firmware updated. We unlock your iPhone X Phone from any carrier restrictions, you’ll be free to use any sim. Once Unlocked, your iPhone X will be permanently Unlocked in the Apple Database. Ready to Unlock your iPhone X?